In South Africa, Cape Town has been experiencing a terrible drought over the past three years, and climate change continues to worsen their conditions. The water supply that Cape Town residents rely upon actually became so low as to make officials announce that “Day Zero”, or the day that water supplies would run out, would occur on April 16. 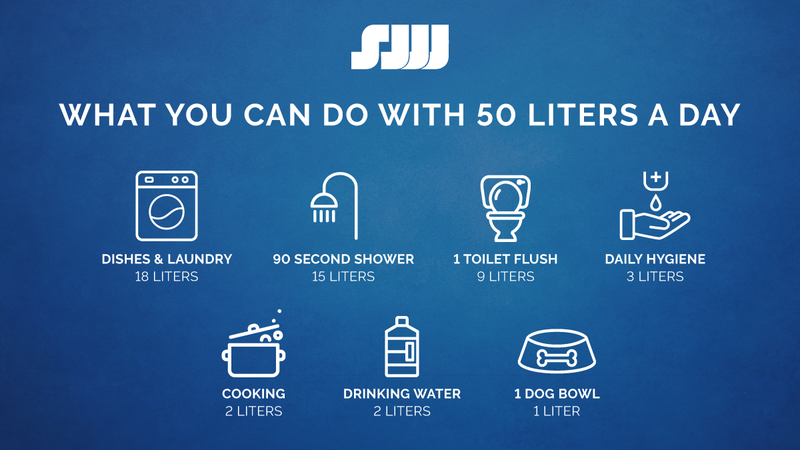 The city established water restrictions allowing usage of 50 liters (about 13 gallons) of municipal water each day and upgraded its water systems. Since February, only about half of the Capetonian population were adhering to the regulations. It seemed that the city’s efforts alone were not going to be enough to transcend the effects of this drought. Fortunately, not all hope is lost. With Day Zero looming over the city, residents kicked their conservation into overdrive by cutting down shower times to 90 seconds, recycling bath water to flush toilets, and doing the most they could with the least water possible. Capetonians cut down their daily water use to less than half of what they used 4 years ago, to roughly 139 million gallons per day. Their efforts have been effective. As Day Zero continues to be postponed further into the future, officials are now stating that as long as water conservation continues, and the Southern Hemisphere winter rains come, Day Zero will not come in 2018. While it’s certainly great news that Day Zero is no longer a month away, there are a lot of “ifs” officials are relying upon to avoid the end of Cape Town’s water supply. With Theewaterskloof Dam, which used to supply 50% of Cape Town’s water, down to 10% of its capacity, it is clear that the city’s residents must continue to conserve water as much as possible. As Californians know too well, winter rains are never a sure thing and conservation needs to become the new normal to avoid catastrophe in Cape Town. While the world watches Cape Town and it’s approach to Day Zero, many are stepping up to assist the city’s residents. East London has been collecting water to send to Cape Town in hopes to relieve suffering of the residents. With the help of social media, the “Water 4 Cape” campaign was created – resulting in even more collection of water from people around the world. The thought of Day Zero may be intimidating, but that won’t stop Cape Town from putting up a strong fight to protect this resource necessary for survival.